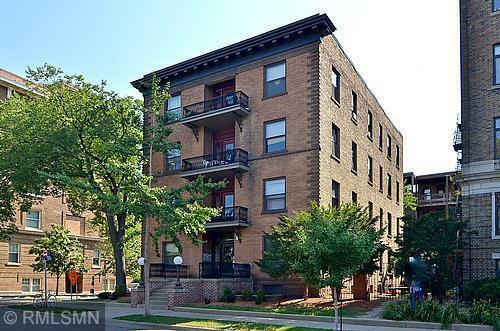 Vintage brownstone flats with modern updates located in beautiful Loring Park. Units completely renovated - all new kitchens, baths, windows , light fixtures, electrical and plumbing. Beautiful hardwood floors and new light fixtures including ceiling fans. Tenant to supply AC. On busline. Parking is contract only or city permit. Shared laundry in building. Rental criteria available, must have excellent references. Showing by appointment only, 24 hour minimum notice, units are occupied.